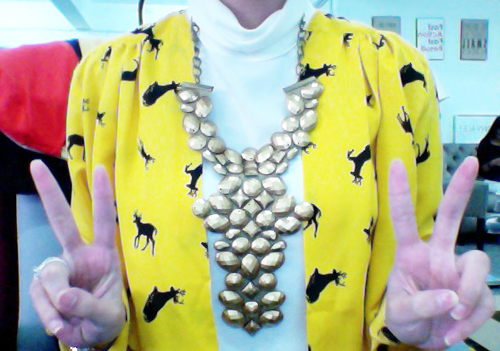 Wearing deer blazer from Eggie Azman, basic top from Sunny Girl and necklace from Cucito, all FV. Magazine photoshoot today. My first one since donning the headscarf. Shall update BTS soon! Have an awesome Friday, peeps. Salam Vivy. My apology.. Sorry to say that ur necklace look like a christian cross..